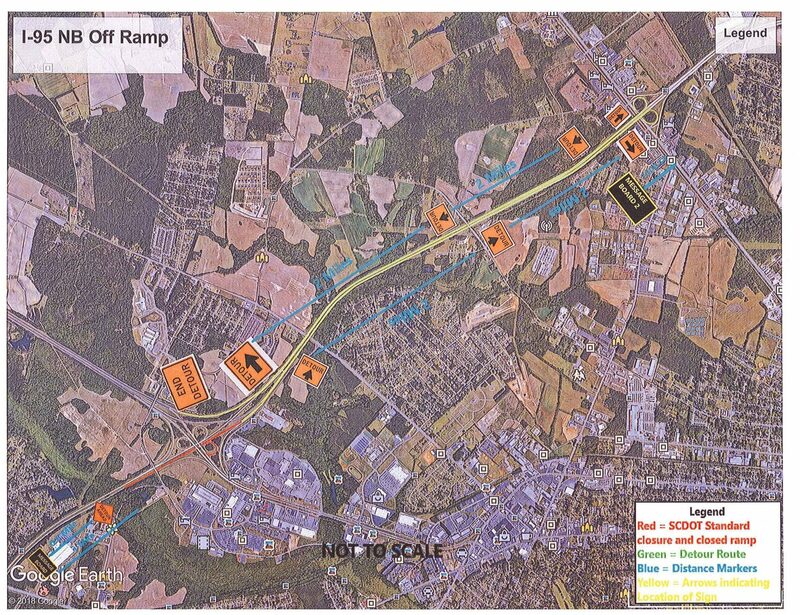 Work will be taking place on the I-95 off-ramps. Please see the following notifications and detour maps in place for the closing of the I-95 off-Ramps as they are listed: The Exit 160 B (off of the I-95 NB & SB side) and the Exit 141 B (David Mcleod Blvd./I-20 WB; heading I-95 SB). Work will begin on Tuesday, August 14, 2018, from 8:00 pm – 7:00 am. Traffic will be completely shut down on the I-95, exit 160B southbound off-ramp to I-20 eastbound. The next day, August 15, crews will completely shut down traffic on the I-95, exit 160B northbound off-ramp to I-20 westbound. That work will take place on August 15 from 8:00 pm – 7:00 am. 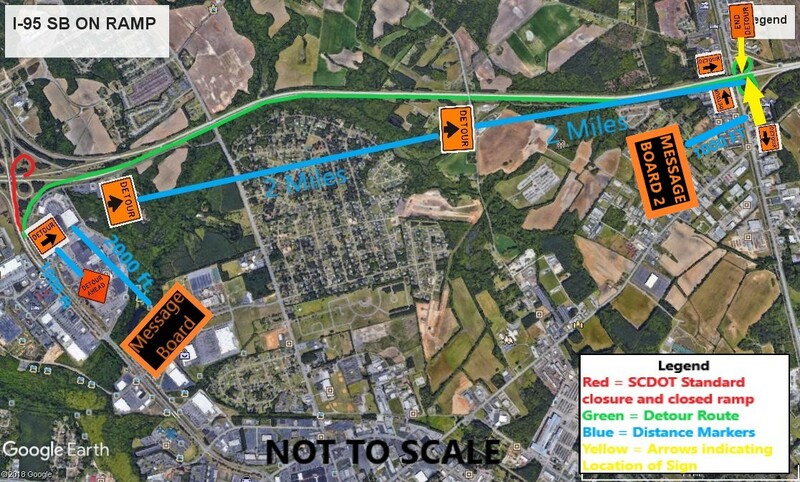 On August 16, Traffic will be completely shut down on the I-20, exit 141B westbound off-ramp to I-95 southbound. The ramp will be closed on August 16 from 8:00 pm to 7:00 am. These closures will be to complete the diamond grinding for pavement smoothness. This work will not be conducted through the weekend (Fridays nor Saturdays). Work should only last up to one week as listed depending on the weather.